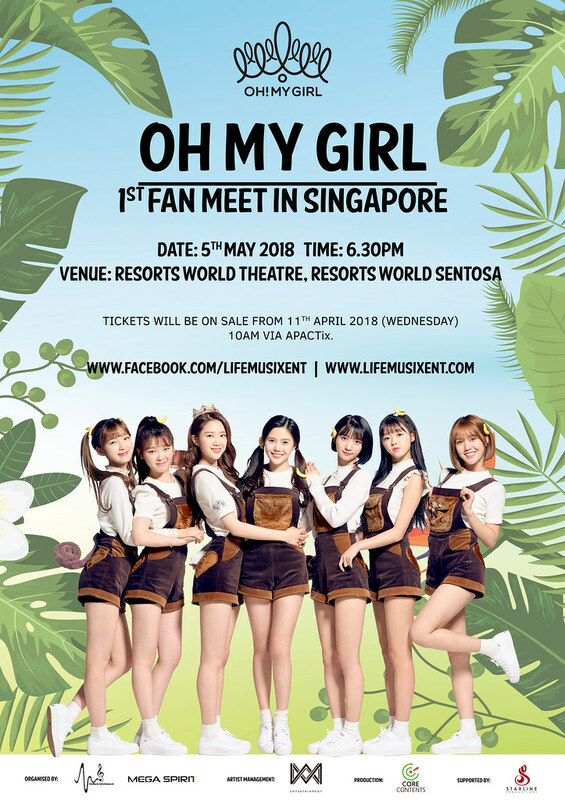 Singapore, 2018 – Oh My Girl will be heading to our lovely island, Singapore, this coming May for their 1st Fanmeet in Singapore and South East Asia. Consisting of members Hyojung, Mimi, YooA, Seunghee, Jiho, Binnie, and Arin, Oh My Girl is one of the quickest rising girl groups that you must keep your eyes on. Oh My Girls’s EP release ‘Secret Garden’ was undeniably a huge success – ranking high on several music charts and awarded them two music trophies on South Korea’s The Show and Show Champion in January 2018. Continuing with the success of the ‘Secret Garden’ album and love from their adoring fans, the ‘Oh My Girl’s Secret Garden’ Concert was held at the Shinsegae Mesa Hall. 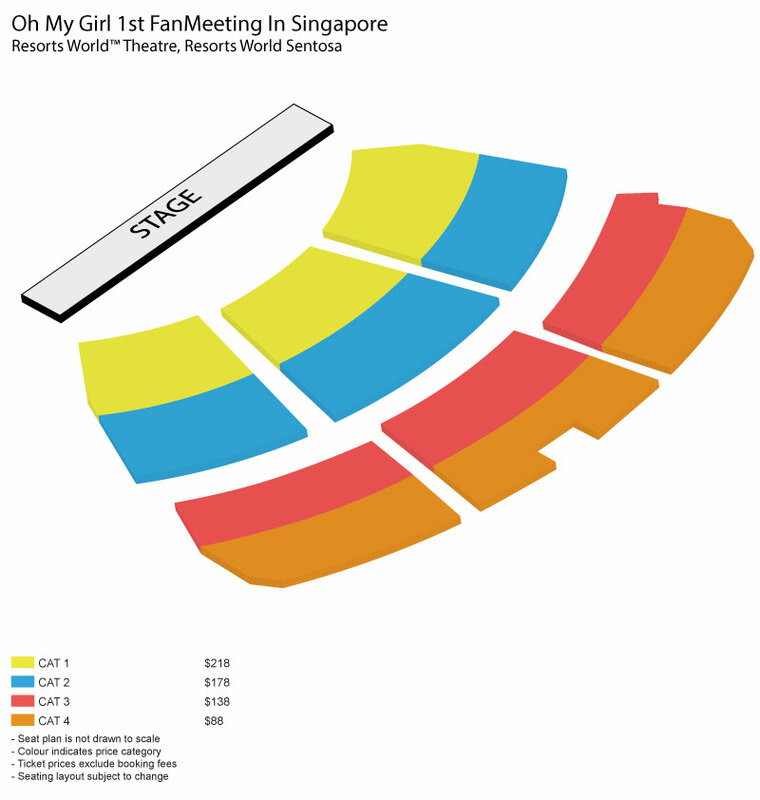 All 3,000 ticketswere sold out within two minutes on December 2017, demonstrating the group’s growing popularity in the K-Pop scene. On April 2nd 2018, Oh My Girl has dropped their freshest pop-up album ‘Banhana’. The release includes a total of 4 tracks titled “Ukiuki Waikiki (Intro)”, “Banana Allergy Monkey”, “Does”, and “Didn’t Fall In Love”. The girls’ latest work is fresh and distinctive from “Secret Garden”, as they’ve gone back to revisit their cute and bubbly image for “Banana Allergy Monkey”. 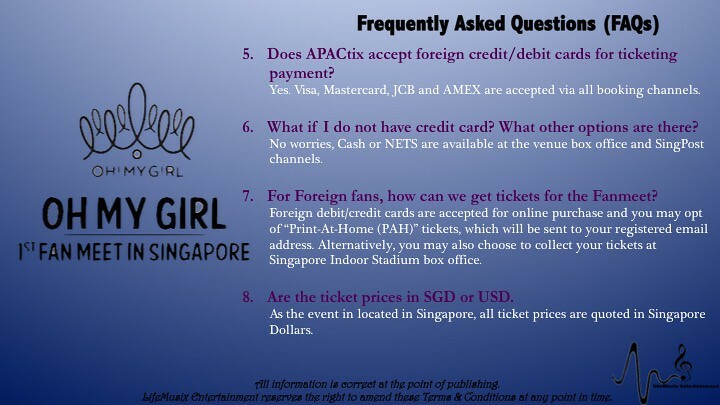 This will be Oh My Girl’s 1st Fanmeet in Singapore and in South East Asia. They are excited to meet their international fans for the first time. 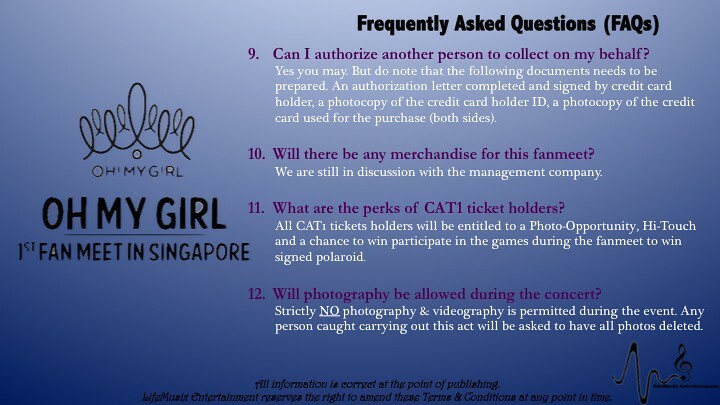 The Fanmeet will include a performance of their hit songs and acitivties, where fans will be able to win a chance at a polaroid shot with Oh My Girl. The Fanmeet promises to be a fulfilling experience for all Oh My Girl fans! 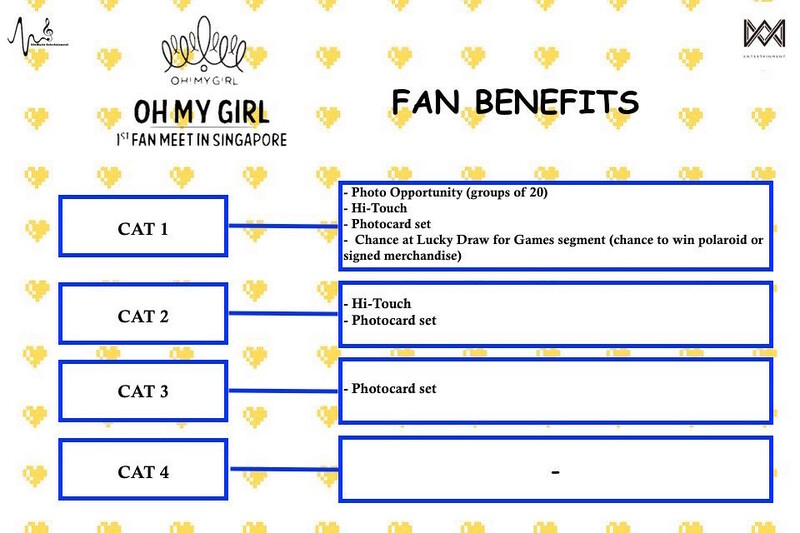 Don’t miss out on Oh My Girl’s 1st Fanmeet & Performance in Singapore and get your tickets now! 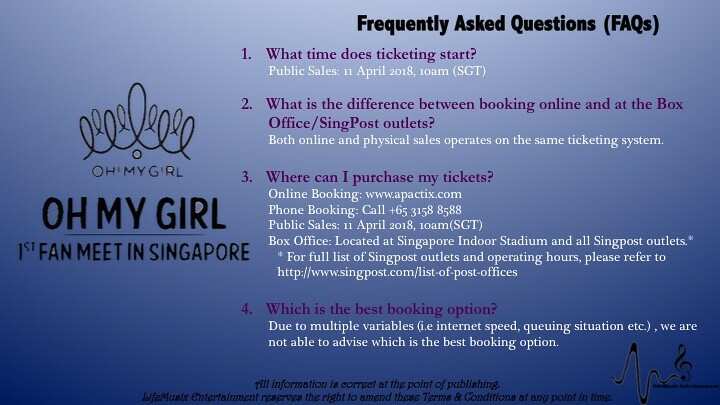 All tickets will be available for sale through all APACtix channels, Singapore Indoor Stadium BoxOffice and all SingPost outlets on 11 April 2018 from 10am onwards. Stay tuned to LifeMusix Entertainment on social media for the latest updates on the above event!